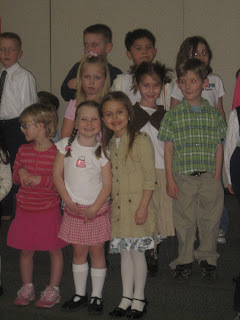 This past Thursday night Rylie had her Kindergarten Concert Night at school. She was so excited about it and had been practicing all week! Taitlyn ended up getting sick that day so she and Tim stayed home which meant the "real" photographer in the family didn't get to go! 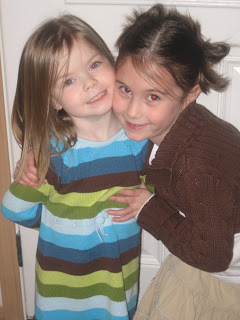 I was able to get a few pictures of Rylie (and Madison) before the concert and then one during. She did a great job! The songs they sang were so cute and I was very, very proud of her! 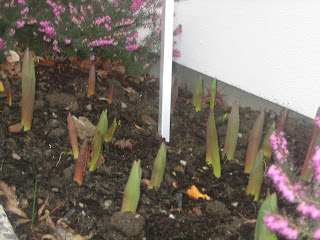 This past week I was driving through our neighborhood and noticed that another neighbor had some "baby" tulips sprouting out in the front part of his lawn. I was so jealous because I hadn't noticed mine at all. I immediately came home to check and was amazed to see I had not just a few tulip sprouts but a ton of them! It turns out that every one of the bulbs I planted is actually growing!!!! 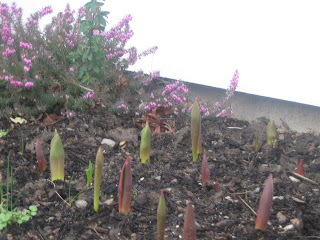 Now I'm a little worried though because our neighbor told us that each year the bulbs double! Here are a couple of pics of my precious "baby" tulips! I'll be sure to keep you posted on their development! 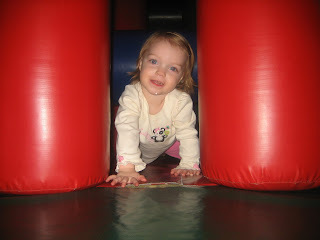 I haven't posted much since Rylie's b-day party because it just seems like things have been crazy around here! The day after her party was superbowl Sunday. We decided this year that we were going to let the true game-watchers have the house to watch the game and those of us who either didn't want to watch the game or have small children and can't watch the game :) went to Jungle Playland. 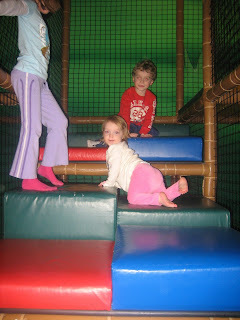 It is a local indoor play area that the kids love! For some reason I didn't get many pictures of Madison that day but, if my memory is correct, it is because she was in her "don't even think about taking a picture of me" moods! 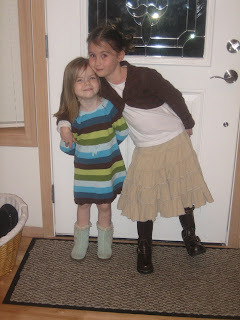 :) Rylie & Madison both had a great time! I was a little surprised at how well Taitlyn did. 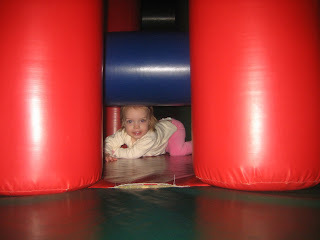 It's a pretty big play area and she just tackled it all like she was one of the big kids! I guess I shouldn't be too surprised though...I do occasionally have to remind her that she is not 5! 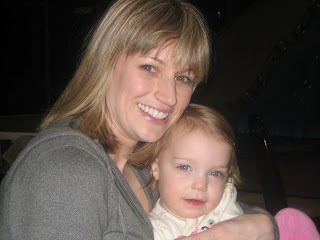 Here is Taitlyn with Becky...one of her favorite people in the world! In fact, she won't say "momma" or "mimi" yet but she'll say "becky"! Here is Taitlyn working her way up with the big kids! 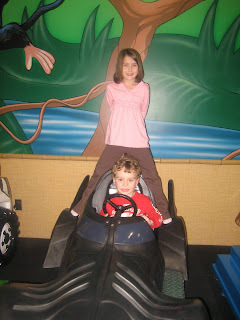 Rylie and Sam...off to save the day! 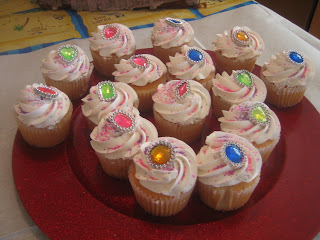 We had Rylie's 6th Birthday party this weekend! 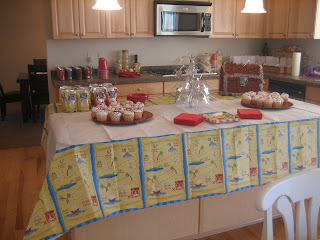 She decided to have a Princess Pirate party so that she could invite boys & girls! I actually found an invitation on ebay that was perfect! 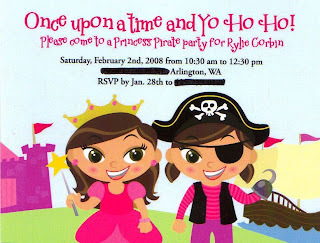 Who knew there was actually such a thing as a princess pirate party! Anyway...it was lots of fun! Here are some pictures from the day. Here is the invitation for the party! We even got to pick the hair and eye color so we could make it just like Rylie's! Just a quick pic of the goody table! 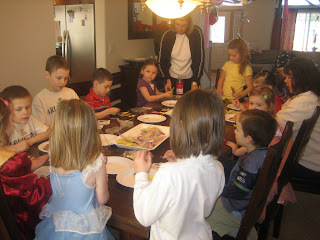 We did a couple of crafts...treasure chest and princess foam magnets and then we made our own treasure maps. I found a "recipe" for treasure stones in Family Fun magazine. We made "dough" and then hid "treasure" in each one. Then we baked them and they hardened up like rocks. 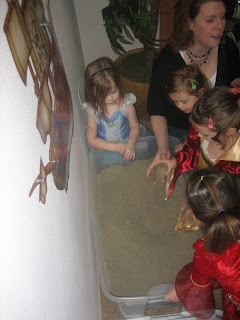 I hid them in a big tub of sand and the kids got to dig for buried treasure! 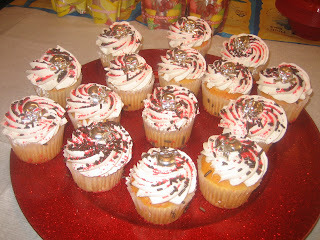 It was definitely a hit! 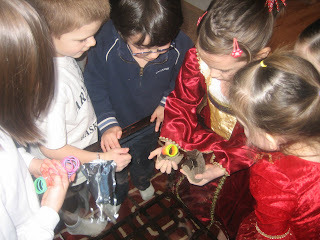 Here is Rylie opening her treasure stone to see what is inside. Rylie decided she didn't want everyone to sing "Happy Birthday" to her (way too much attention) so on the count of 3 we all said "Happy Birthday" instead! 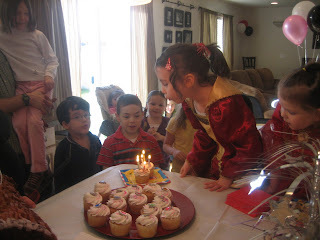 Then she blew out the candles all by herself! 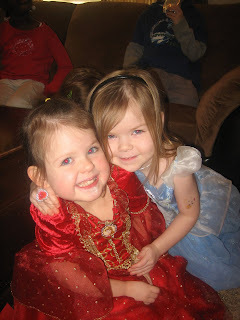 This was just a cute picture of Madison and her BFF Hailey in their princess costumes.